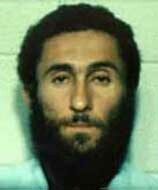 Mohammed Loay Bayazid, one of the founders of al-Qaeda two years later. 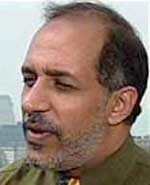 Wael Hamza Julaidan, another founder of al-Qaeda, and a Saudi multimillionaire. 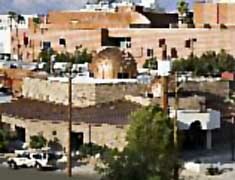 He was president of the Islamic Center starting in 1983 and leaves the US around 1986. 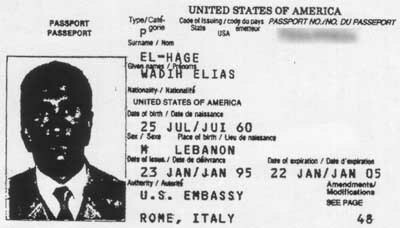 Wadih El-Hage, bin Laden’s future personal secretary, who will later be convicted for a role in the 1998 US embassy bombings (see 10:35-10:39 a.m., August 7, 1998). 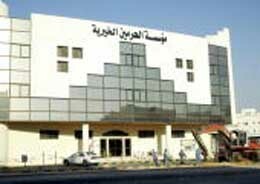 El-Hage is connected to the murder of a liberal imam at the rival mosque to the Islamic Center in 1990 (see January 1990). Ahmed Said Khadr, standng on the left, in an orphanage while working for Human Concern International. [Source: Canadian Broadcasting Corporation]During an FBI raid on a suspected al-Qaeda cell in Kenya, US investigators discover the address book of Wadih El-Hage, bin Laden’s former personal secretary (see Shortly After August 21, 1997). The book contains the names of many militant contacts around the world. One entry in his book is for “Essam,” giving an address in Surrey, near Vancouver, British Columbia. 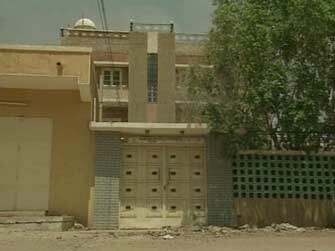 That address is where Essam Marzouk lives. [National Post, 3/19/2002] Marzouk moved to Vancouver in 1993, and ever since his arrival Canadian intelligence has suspected he is a radical militant and has been monitoring him (see June 16, 1993-February 1998). It is not clear if the FBI ever shares the El-Hage link with Canadian intelligence, and apparently the Canadians are unable to gather enough evidence to arrest Marzouk and other probable al-Qaeda operatives living in Vancouver until they leave in 1998. Another business card found during the raid has an Ottawa, Canada, phone number written on the back. Who this number belongs to has not been made public, except that the number is out of service by 2002. [National Post, 3/19/2002] However, there are some militant contacts in Ottawa around this time, including Khadr on occasion. 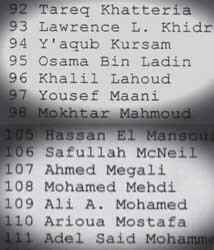 In March 1997, Canadian intelligence monitor a militant named Mohamed Harkat as he says he will be meeting Khadr in Ottawa later that month. [Canadian Security Intelligence Service, 2/22/2008 ] Is it unknown if the FBI shares the other phone numbers with Canadian intelligence. 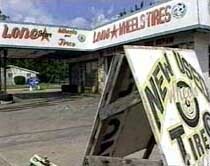 The Texas tire store where El-Hage worked in 1997. [Source: CNN]In August 1997, US intelligence raids the home of Wadih El-Hage, bin Laden’s former personal secretary and a US citizen (see August 21, 1997). With his cover blown, El-Hage decides to return to the US. Arriving at a New York City airport on September 23, he is served with a subpoena to testify before a grand jury the next day. He testifies for several hours and is questioned extensively. [United State of America v. Usama Bin Laden, et al., Day 36, 4/30/2001] US prosecutor Patrick Fitzgerald will later claim that “El-Hage chose to lie repeatedly to the grand jury, but even in his lies he provided some information of potential use to the intelligence community—including potential leads” to the location of his confederates and wanted missing files. [New York Times, 1/9/1999; US Congress, 10/21/2003] But after this, El-Hage is not arrested. He moves back to Texas, where he had lived in the early 1990s, and works in a tire store. [Arizona Republic, 9/28/2001] In October 1997, he is interviewed by agents in Texas [United State of America v. Usama Bin Laden, et al., Day 28, 4/12/2001] , and then left alone until August 1998 when he will be interrogated again shortly after the bombings in Kenya and Tanzania (see 10:35-10:39 a.m., August 7, 1998). He is ultimately arrested and found guilty for his role in those bombings. 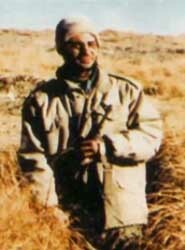 Fazul Abdullah Mohammed. [Source: Daily Nation]Shortly after the US raid on Wadih El-Hage’s house in Nairobi, Kenya (see August 21, 1997), US investigators discover a letter in the house that mentions a cache of incriminating files had been moved from the house and hidden elsewhere. Investigators suspect the files could contain evidence of a coming attack by El-Hage’s Nairobi cell. A law enforcement official later says US investigators begin a “somewhat frantic, concerted effort” to locate the missing files. 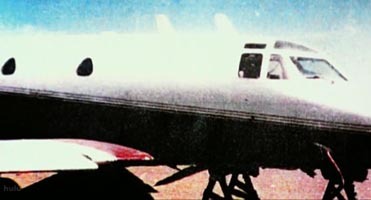 “The concern was high enough about something being out there to go right away.” A search for the files is conducted at another location in Kenya in September 1997, but the files are not found. [New York Times, 1/9/1999] But despite this search, and even though other documents found in the raid refer to other unknown members of the cell and the imminent arrival of more operatives (see Shortly After August 21, 1997), the wiretaps on five phone numbers connected to El-Hage are discontinued in October 1997, one month after El-Hage moved to the US (see September 24, 1997). Fazul Abdullah Mohammed (a.k.a. Haroun Fazul), who had been living with El-Hage and using the same phones as him, takes over running the cell. US intelligence will resume monitoring the phones in May 1998 and continue to monitor them through August 1998 (see May 1998), when the cell will successfully attack US embassies in Kenya and Tanzania (see 10:35-10:39 a.m., August 7, 1998). 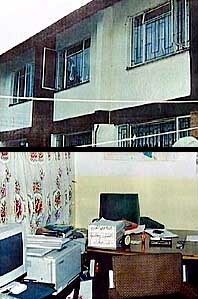 It will be stated in the 2002 book The Cell, “The hardest thing to understand in retrospect is why US law enforcement did nothing else to disrupt the activities of the Nairobi cell” after the raid on El-Hage’s house. [New York Times, 1/13/2001; Miller, Stone, and Mitchell, 2002, pp. 203-205] The files will be found only after the African embassy bombings, when the offices of the charity Mercy International are searched on August 20, 1998. They will contain incriminating information, including numerous phone calls from bin Laden to Nairobi. [United States of America v. Usama Bin Laden, et al, 3/20/2001] It is not clear why the charity was not searched before the attacks, since two of the five phones monitored since 1996 were to Mercy’s Kenya offices (see Late 1996-August 20, 1998). 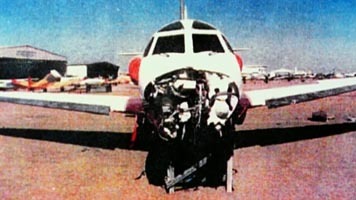 The Sky 1, the ship purchased by Sadek Walid Awaad and other al-Qaeda operatives, shown as it sank in 2000. [Source: Tele News Company]US intelligence monitoring the al-Qaeda cell in Kenya trace phone calls to al-Qaeda operatives in Hamburg, Germany, where some of the 9/11 hijackers are living (see August 1997). Around August 1997, Sadek Walid Awaad (a.k.a. Abu Khadija) calls Kenya and is traced by US intelligence to where he lives in Hamburg. [Miller, Stone, and Mitchell, 2002, pp. 201; El Pais, 9/17/2003] Sometime over the next year or so, it is discovered that Awaad has engaged in business dealing with Mamoun Darkazanli, another al-Qaeda operative. 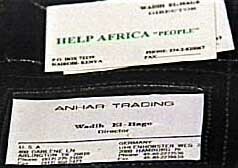 Awaad used a Hamburg address for some of his business dealings that was also used by Darkazanli and Wadih El-Hage, who served as bin Laden’s business secretary in Kenya. In 1994, Awaad, Darkazanli, and El-Hage worked together to buy a ship for bin Laden. 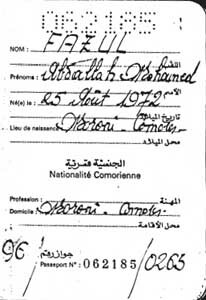 Apparently US intelligence puts this together by 1998, as one of El-Hage’s notebooks seized in a late 1997 raid details the transaction (see August 21, 1997). Investigators later believe Darkazanli is part of the Hamburg al-Qaeda cell with 9/11 hijackers Mohamed Atta, Marwan Alshehhi, and others. [New York Times, 12/27/2001] Less is known about Awaad and whomever he may have associated with. But in a public trial in early 2001, El-Hage identified him as an Iraqi al-Qaeda operative with German and Israeli passports. [Day 2. United States of America v. Usama bin Laden, et al., 2/6/2001; Day 6. United States of America v. Usama bin Laden, et al., 2/15/2001] An al-Qaeda operative with an Israeli passport connected to the Hamburg cell would seem to be highly unusual and significant, but there has been almost no mention of him in the media after 9/11 and it is unknown if he has ever been arrested.